According to Elton Rivas, co-founder and executive director of OneSpark, since Wednesdawy there have been nearly 80,000 people on the streets of downtown Jacksonville. By our non scientific estimate we dare to say he is probably right on! So with 80,000 people on the ground and just as many keeping up with The World’s Crowdfunding Festival back home, that’s a lot of social media mentions. Luckily, Jacksonville startup EventHash, which just launched Tuesday night, is here to help. EventHash co-founder Brett Erpel has a team of five on the ground navigating through the mass of people while the EventHash system tracks the rest. We’ve seen a ton of social media dashboards here at nibletz.com but none really give such a robust picture as EventHash and none have their platform set up in a native mobile app that functions as well as the web platform. EventHash shows the latest tweets, the users, topics, and even the hash tags that are trending. The system ranks users by how many times a user is mentioned, not how many times a user tweets. 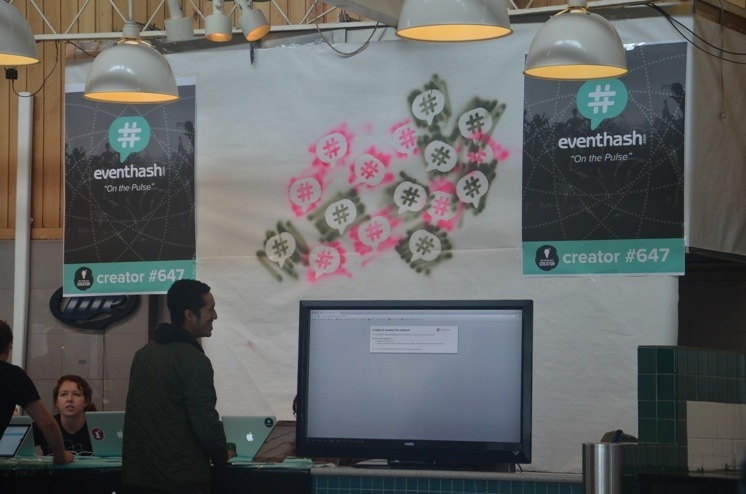 EventHash also has a media data stream that shows the latest pics from an event. They round the platform out with a graph that shows peaks and valleys as related to the social graph. Finally they can show a geolocation graph that shows how many tweets are coming from where. All of this information is extremely valuable to an event organizer. Having real time access to these analytics is vital to changing and improving the course of an events social graph during an event. The data available after an event is a great case study for any event organizer. We’ve got even more OneSpark coverage here!